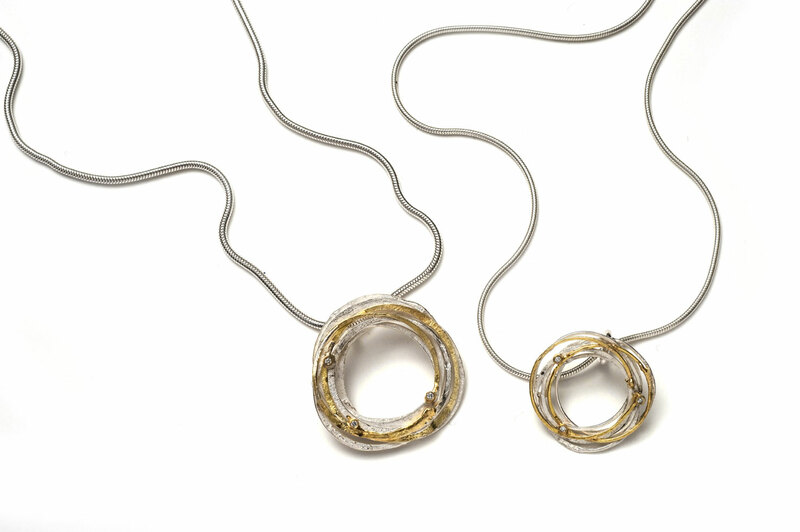 Shimara Carlow’s practice and jewellery is inspired by natural forms, primarily seed pods. 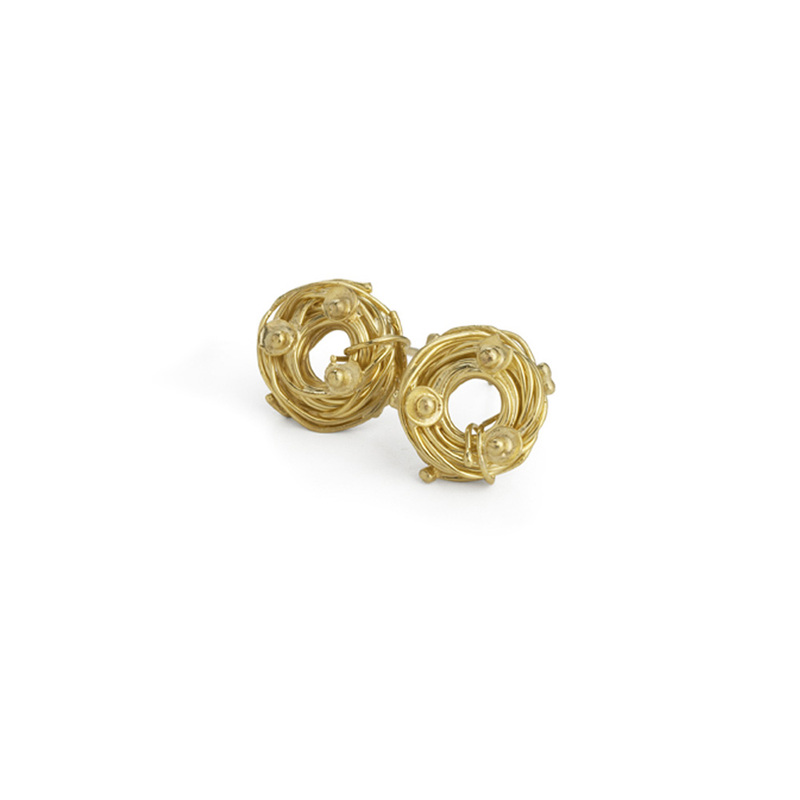 Shimara reformats the delicate trusses of the Australian landscape with silver, 18ct gold and silk paper. 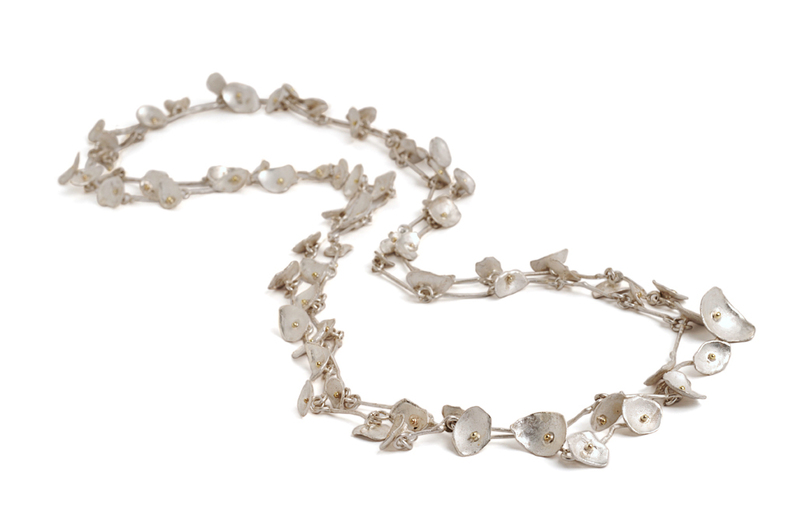 Growing up in Southern Ireland Shimara had a childhood fascination for collecting shells, stones, mermaid’s purses, feathers and seed pods found along the sea shore. Finding beauty in the things which go unnoticed has inspired much of her work. 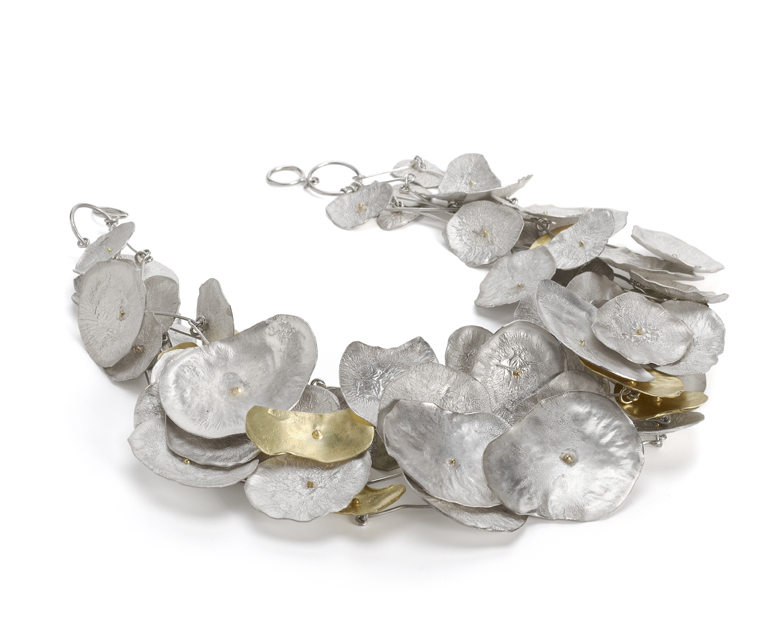 Gum nuts, leaves, the naturally occurring lattice and reticulated imprints on flora are mirrored in her tactile jewellery. 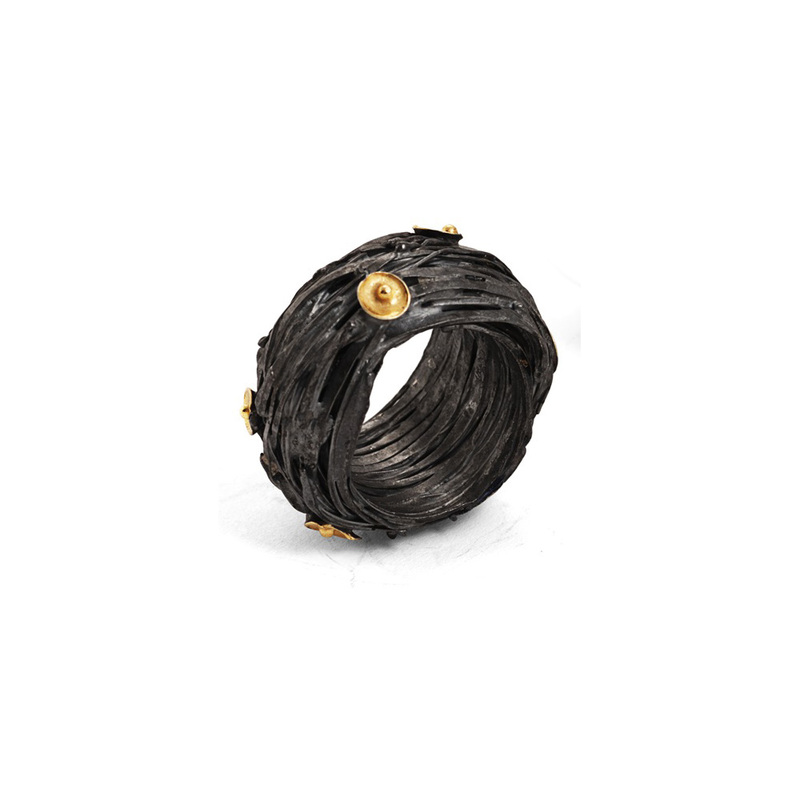 Her pieces toy with the fragility of natural forms in contrast to hard metals and semi-precious stones. In addition to this, Shimara creates vessels which are gilded and have a pressed or imprinted texture. Shimara’s vessels are constructed to be free standing and off centre, giving them a fluid natural quality. 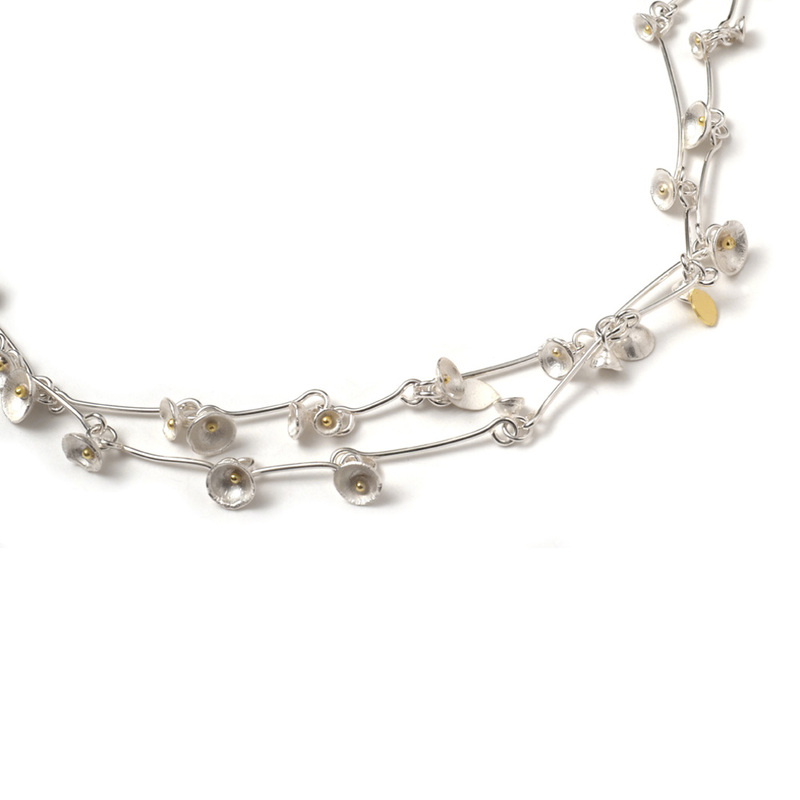 Having studied at the Glasgow School of Art, Shimara’s work has had a broad exposure worldwide, including exhibitions at the Victoria and Albert Museum, Somerset House and the London Craft Fair. Shimara has now moved to Australia and is living in Melbourne.